If the hip of the kicking leg is not fully extended prior to foot plant, subsequent leg swing velocity will be reduced. This extension ("cocking") of the hip (1) allows greater distance for the leg to increase its velocity on the forward swing, (2) stretches the muscles which cross the hip to facilitate their contraction and recoil of the leg, and (3) permits greater rotation of the hip. If the supporting leg flexes excessively during foot plant, the velocity of the kicking leg will be reduced. On the other hand, a firm supporting leg "blocks" the forward motion of its hip and increases the velocity of the swing leg. Improper coordination and sequencing of movements in the kick will reduce possible ball velocity. 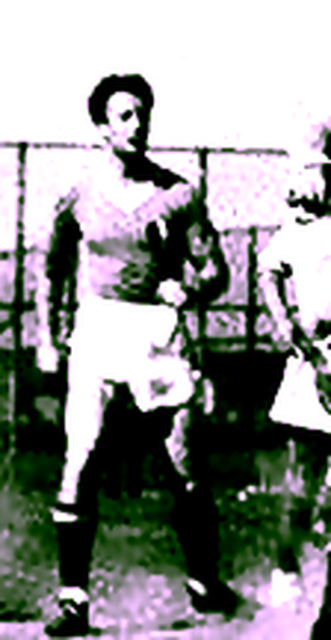 The order of events in the kicking leg, following hip extension, are: (1) hip rotation, (2) forward swing of the thigh, and (3) forward swing of the shank. Each of these movements should increase the velocity of the subsequent segment resulting in maximum velocity at the foot just prior to impact with the ball. The action of the leg should be like a whip "snapped" at the ball. In a street fight it is hard for an opponent to even realize what happened. Care mut be taken not to hit the mouth/teeth. Had to wait a year before delivery With my initials on the handle. 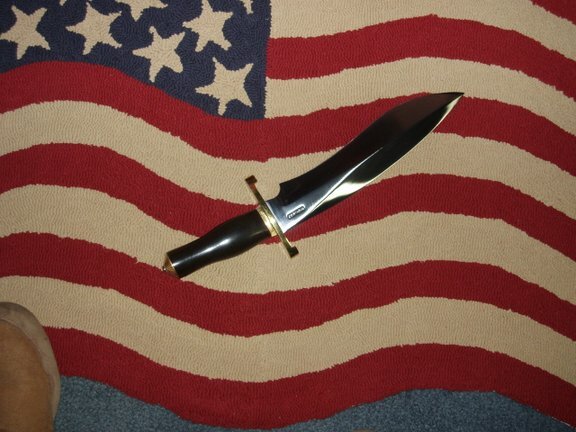 Funny thing this photo of my knife I posted on the forum years back...found its way into Google images. Just came across this and thought you'd enjoy it.